Make an Appointment for Cosmetic Dentistry Today! 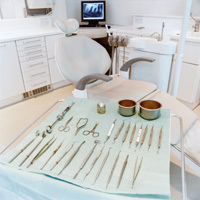 What do you look for in your dental office? Are you looking for a family dentist with a warm, inviting atmosphere? How about a high-tech, cutting-edge location for cosmetic dentistry? Do you need dentists of the highest quality for a root canal, dental crowns or emergency dental treatment? If you answered yes to any of these questions, then Carolina Smiles of Greensboro, NC is for you. At Carolina Smiles, we are a dental office that strives to make your dental visit as calming and soothing as possible. You won't believe you're at the dentist when you step into our waiting room. Recline on one of our plush leather sofas in front of our crackling stone fireplace and wait for the dentist to call you in. The idea is simple: we want you to feel right at home. We do it all, from routine checkups to emergency dental work when you need it. 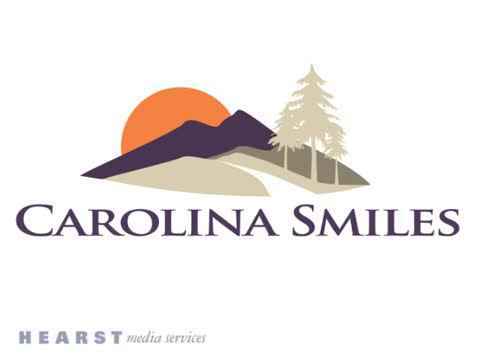 Think of Carolina Smiles less as a dental office and more as your partner in your family's dental health. We want you to feel comfortable coming to us for all of your dental needs. We're here to calm everyone down by putting your emergency in good hands. We're here to sit with you and talk through your cosmetic dentistry needs so that you can get the smile you've always dreamed of. And, of course, we're here for your family's next checkup. Call today to make an appointment! Make Carolina Smiles your family dentist! Your Root Canal and Dental Crowns have never been Easier! What makes us stand out as a family dentist? We make going to the dentist easy and fun! We want your experience to be as positive as possible as soon as you step in the door. No matter what kind of procedure you need to undergo, you'll find our family dentist to be prompt, professional and courteous. 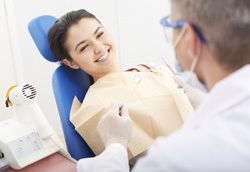 Do you need to have dental crowns put in or have a root canal done? Our dentists are professional and friendly, dedicated to making your dental work go as smoothly as possible. We know that going to the dentist can be stressful- that's why we're so focused on making your visit to Carolina Smiles a positive experience. If you are looking for a new family dentist and the best in dental care in Greensboro, NC, then please contact our office to schedule an appointment today. Our goal is to constantly strive to exceed your expectations in providing the best comprehensive dental care and cosmetic dentistry for you and your family. Not all family dentist offices are the same. When you come to Carolina Smiles, you'll see firsthand that we pay extra attention to our patients' needs and concerns. If you have any issues, please let us know and we would be happy to accommodate you as best we can. We hope to make you a part of our dental office in the near future. We know a lot of people have anxiety and fear of going to the dentist office so we are committed to accommodating your needs and creating the most comfortable and relaxing visit possible. Dr. Wang, Dr. Tran and their staff take the time with each patient to ensure you get the individual time and care you deserve. If treatment such as a root canal is recommended, the doctors and their team will take the time to discuss your options with you and answer any questions you may have. Call on us for Emergency Dental Care! If you or your child is faced with a dental emergency, do you know what to do? Do you know who to call? Even simple activities like brushing your teeth can lead to accidents that require emergency dental care. At Carolina Smiles, we're committed and capable of meeting your needs quickly and effectively. Situations in which you or someone you love needs emergency dental care can be stressful and harrowing experiences, but they don't have to be overwhelming. With Carolina Smiles, you can be sure your emergency dental work is in good hands. Our state-of-the-art facility is like no other dental office that you have ever stepped foot in. When you come to Carolina Smiles, you can trust that you will receive the highest quality dental care with the latest techniques and advancements of dental technology. From dental crowns and root canals, to preventative care and cosmetic dentistry, we do it all. Since we are a family dentist, we provide services to patients of all ages including children, teens and adults. We even offer quality cosmetic dentistry services. Too many people go through life feeling as if they have to think before they smile. For a variety of reasons, they just aren't confident in their smile or their teeth. If you're one of these people, then make an appointment for cosmetic dentistry with Carolina Smiles today. Your smile is your first impression, and we can help you make it great. We offer popular cosmetic procedures, like teeth whitening and veneers that can help you to smile with confidence. Our options are affordable, the procedures are easy, and you're sure to be grinning ear to ear when you walk out the door. So when you need to find a caring, compassionate family dentist in Greensboro, NC, give Carolina Smiles a call. We'll be sure to exceed your expectations every step of the way. For more information please visit our website at: www.carolinasmilesdds.com or call 336-290-7000 to schedule an appointment or for emergency dental care. Carolina Smiles specializes in preventative, restorative and gum care services. We offer oral cleaning and regular check-ups, fillings, bridges, whitening, veneers and root canals. Call us or visit our website to learn about all of the services we offer.